Such amazing color ! I love this color in the garden ! What a lovely lush flowering! Lovely frothy blooms and color! 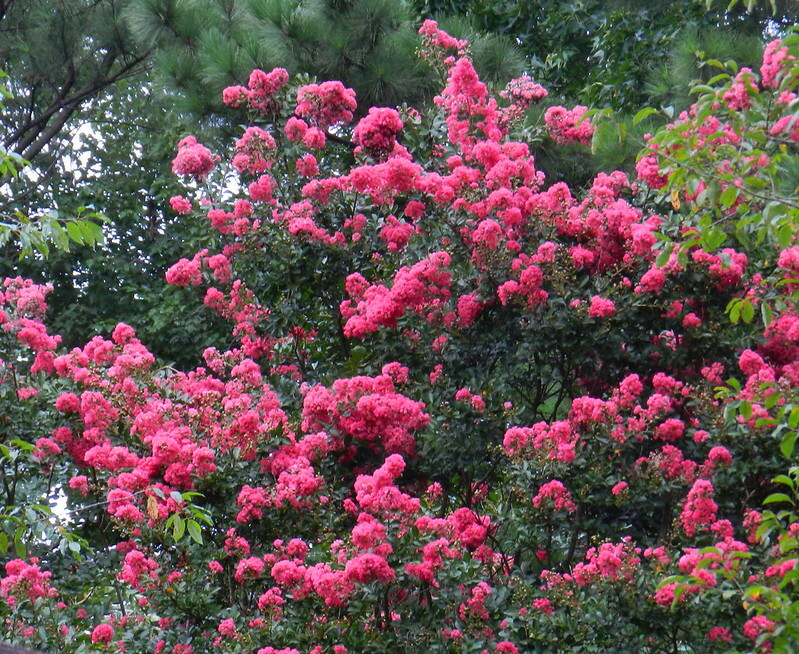 I miss these from growing up in Houston, but I did see some at the Portland Rose Garden. Huge favorite of mine (I think I already told you that story). Love this. Very pretty! I love the colour. Wow! Great sight! Very pleasing!